The Arapaho Bay Campground is located in the Arapaho National Recreation area in Colorado next to the beautiful, crystal blue Lake Granby. This camp ground is the perfect spot to get away from the hustle and bustle of Denver, and slip into nature. There’s really nothing you can’t do at the Arapaho Bay Campground. 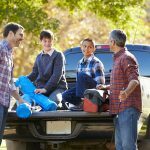 With a wide variety of outdoor activities, this campground has something to offer to every type of camper. It’s a great place for families, couples, and solo campers alike to get back in touch with nature and revel in the beauty of the Colorado forests. World class fishing, cozy amenities, and a gorgeous lake are all you need for a relaxing weekend away to rejuvenate and experience the outdoors. This campground is placed squarely in the Arapaho National Recreation area near the city of Grand Lake, Colorado. 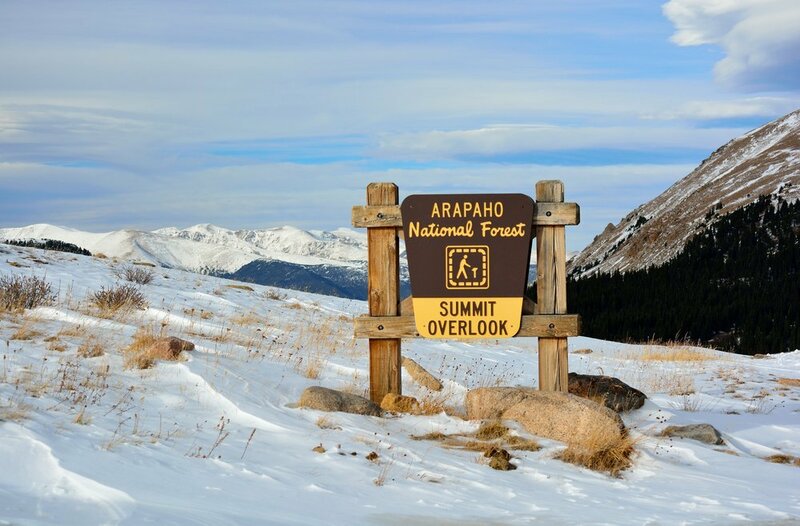 Arapaho is surrounded by dense pine forests and is in close proximity to the Indian Peaks Wilderness Area, making it an ideal location for outdoor enthusiasts and hikers. Arapaho Bay Campground is actually one of five campgrounds in the Arapaho National Recreation Area. It’s made up out of three hiking loops that are easily accessible to campers including the Roaring Fork, the Moraine, and the Big Rock. It’s the closest of the five campgrounds to the Rocky Mountain National Park, one of Colorado’s biggest and most beautiful treasures. Many of the campsites are on Granby lake or have a view of its gorgeous shores that are great for fishing, swimming, or boating. 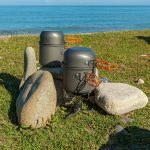 To get to the Arapaho Bay Campground, all you have to do is find yourself in the Arapaho National Recreation area which is six miles northwest of the city of Granby on Highway 34. The campground is also accessible by County Road 6. 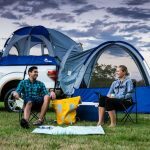 This campground is less than a three hour drive from the bustling metropolis of Denver, Colorado making it the perfect weekend get away or summer vacation spot. The Arapaho Bay Campground boasts a variety of activities including many that are centered around the area’s main attraction, Lake Granby. Lake Granby is a large, beautiful lake in the Arapaho National Recreation area that is surrounded by several campgrounds. 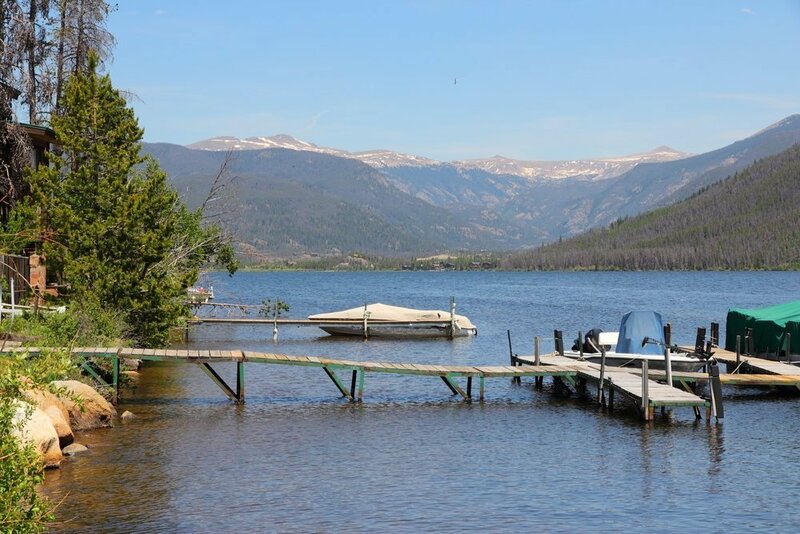 Lake Granby boasts some of the best salmon fishing in the area. Campers can also fish in nearby streams and lakes that surround the campground. So grab your fishing pole and experience all of the great varieties of fish with an afternoon on the lake! This campground boasts three great hiking loops including the Roaring Fork, the Moraine, and the Big Rock. 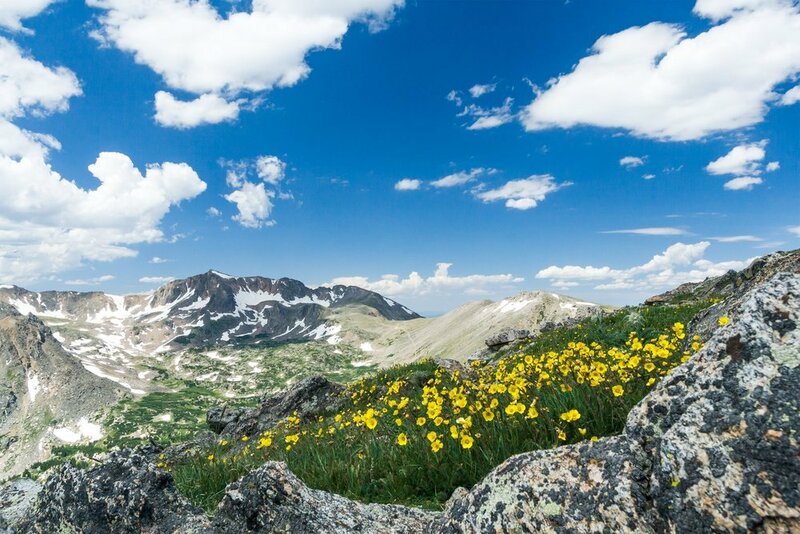 These hiking loops go through dense pine forests and around the beautiful Rocky Mountains for a chance to see unparalleled views that will take your breath away. Most of these hikes range from easy to moderate levels, so are great for the elderly, those with children, or those looking for a low-key afternoon hike. If you’re an avid hunter, the Arapaho Bay Campground is a great place for you to be. During hunting season, the forests and national reserve around this campground boasts excellent opportunities to hunt for big game animals such as deer. No day will be boring at this campground when you gear up in your camouflage and embark on an exciting hunting adventure. With the beautiful and big Lake Granby situated at the center of the Arapaho Bay Campground, there is a plethora of water activities to make your stay both fun and relaxing. If you’re interested in boating, kayaking or canoeing, all of these are available for rent or you can bring your own and explore the blue waters of the lake. 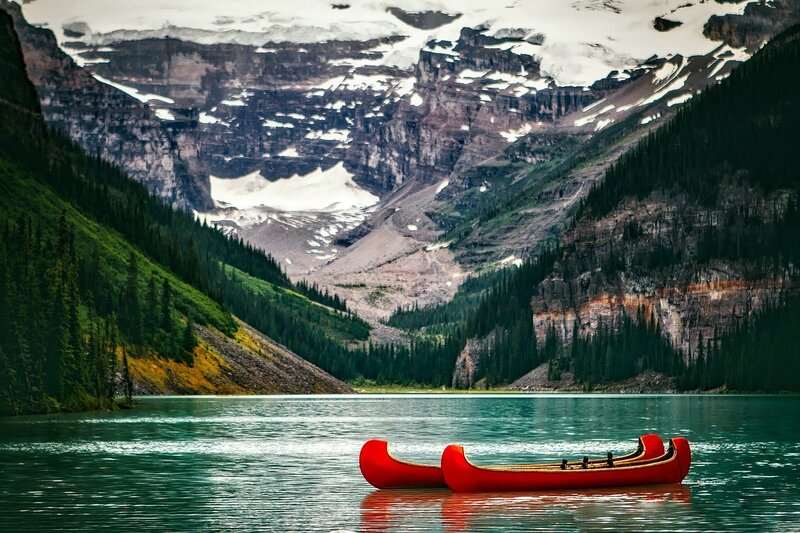 Not far away, there are even opportunities to go whitewater rafting and whitewater kayaking on some of the larger rivers that boast thrilling rapids created by their flow from the Rocky Mountains. Biking is a great way to exercise, get around, and experience the outdoors. If you love to bike, luckily for you the Arapaho Bay Campground is very bike friendly with several short and long trails circling the campground, lake, and nearby wilderness reserves. You can also bike along the same trails that you can hike for a more difficult, mountain biking experience. Whether you’re a bird watcher or love to watch ground animals, this campground offers a variety of adorable and unique animals that are friendly and around for your viewing pleasure. A lot of campers enjoy going to the nearby Indian Peaks Wilderness Reserve and Monarch Lake to take a look at the birds, deer, and even bears that live in the forests. The great lake Granby as well as the surrounding streams and smaller lakes invite all campers to jump into their cool waters on a hot summer’s day. These lakes are great for lounging on their shores, soaking up the sun, and spending an afternoon relaxing in the water. This campground has 84 non-electric campsites where you can easily set up your tents, trailers and RVs. 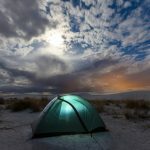 The current price for a single campsite is $21 per night, not a bad deal when you consider all of the great facilities that the campsite features. Facilities at Arapaho include state of the art bathrooms with showers, a weekly trash service, and free drinking water. 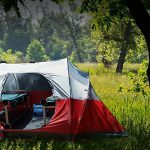 Every site comes with its own tent pad, picnic table and fire grate so you can have an enjoyable and comfortable camping experience. The camp ground even has a boat ramp for launching your own canoes, kayaks, row boats, and motor boats into Lake Granby. For this interested in camping in groups, a single site on the campground can hold up to 8 people. Double sites are available for an extra charge, and can hold more people if your group is bigger than 8. Your big tent can range in size, but to use it at the Arapaho Bay Campground it has to fit on the pad that is included in the site. Any other vehicles, trailers or RVs that you bring along with you must be able to fit on the parking spot provided, and remember that you aren’t allowed to park or drive off road for the protection of the campground. Pets are allowed at the campground, so you can pack up your furry friends with you to enjoy the outdoors and all Arapaho Bay Campground has to offer! Just make sure to abide by the campground’s pet regulations and keep them on a hand held leash at all times. This is a small bay located by the Twin Pines Point and Twin Peaks just a few miles outside of the Arapaho Bay Campground. It’s a nice way to take a dip in the water if you have already spent a lot of time at Lake Granby. This lake is actually a dam that is close to Mount Adams and Hells Canyon in the Rocky Mountains. It’s fairly easy to get to from the campground by car, and is a beautiful site to see if you want to get away from the campground for a few hours. This lake is unfortunately not made out of strawberries, but it’s still beautiful and worth seeing! It’s close by the Monarch Lake dam, so you can easily hit both at once for a nice day trip deeper into the surrounding forests. This cove is similar to Pete’s cove in its location and construction. Although the McDonald Cove is slightly larger and closer to the campground than Pete’s Cove. This is a great swimming hole, and a perfect way to cool off after a long hike.